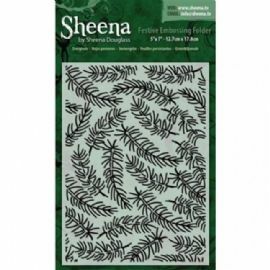 This embossing folder by Sheena Douglass, is perfect for all of your Festive papercrafting, cardmaking and scrapbooking projects. This embossing folder can be used in most leading brand embossing machines and is great for scrapbooking, embellishing, and much more. If you're looking for an easy way to add texture and style to your paper and cardstock projects then this embossing folder is for you.